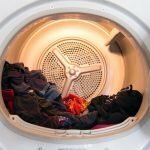 Condenser tumble dryer or vented tumble dryer? Forbes Rentals specialise in renting out Bosch appliances so they know them inside out. They also rent other brands and other types of product. I only write when I have something worth writing or warning about. You won't get many - but when you do they could warn you about an important safety issue. If you've found my site useful you can support it by using my carefully chosen and relevant ads when you need to buy, and sharing my pages. Thank you. Enter your email address to get email notifications of any new important articles and safety warnings.